The digital transformation era has left organizations uncertain about how to best use all their newly generated data to foster growth and edge out the competition. This has led to the development of a new set of smart technologies to enhance an organizations’ ability to parse through extensive troves of data to find new insights. 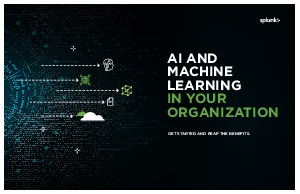 Download your complimentary copy of “AI and Machine Learning in Your Organization” to avoid missing out on valuable business insights.